The latest Lace Project event was held in the illustrious surroundings of the Allard Pierson Museum at Amsterdam University this week. The focus this time was on open learning analytics. After some lightening presentations on participants’ interests in the area, we split into groups to look at what exactly open meant in the context of learning analytics. 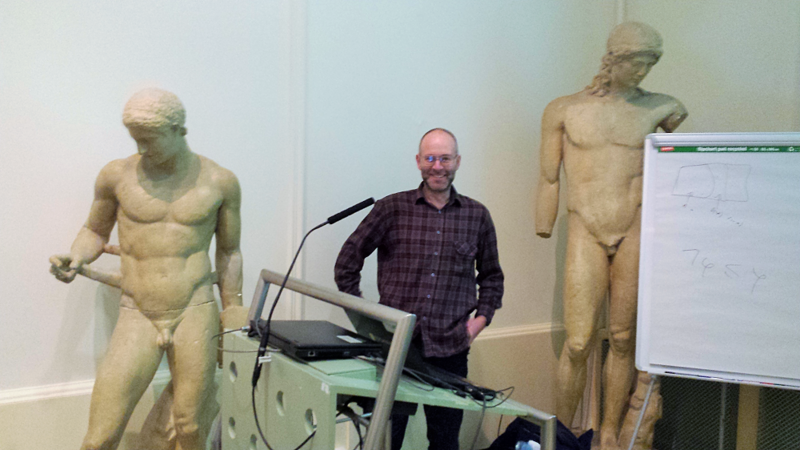 We discussed some of the issues with Adam Cooper of Cetis, shown here alongside other fine specimens of humanity. Probably the most obvious aspect of open in the context of learning analytics is the reuse of code (and documentation) that others have created. Predictive models can also of course be opened up to others. 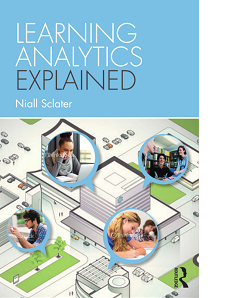 Having open APIs in learning analytics products is important too – as is interoperability of the different systems. And a vibrant community of people and institutions who wish to share and enhance all these things is essential. Openness was thought to “keep the market honest” and it also improves transparency for learners and other users of learning analytics systems. Openness may also mean that the data from one environment can be connected to that in another one, not only across the different systems in one institution but potentially with other institutions too. Adam has documented some of the organisational intitiatives to share data for learning analytics . One of the clearest messages to come out of the day was just how important tackling the privacy issues is becoming in order to avoid an InBloom type fiasco in Europe. While this is a problem everywhere, concerns about the lack of systems for granting consent to the collection of data are massively holding up implementations of learning analytics in countries such as the Netherlands and Germany. A further event being planned for Paris in February will attempt to progress understanding in this area and develop transparent learning analytics systems which include mechanisms to obtain consent at granular levels from students to process their data.